The Clinton Volunteer Fire Department Co.25 recently placed an order for a new Engine. 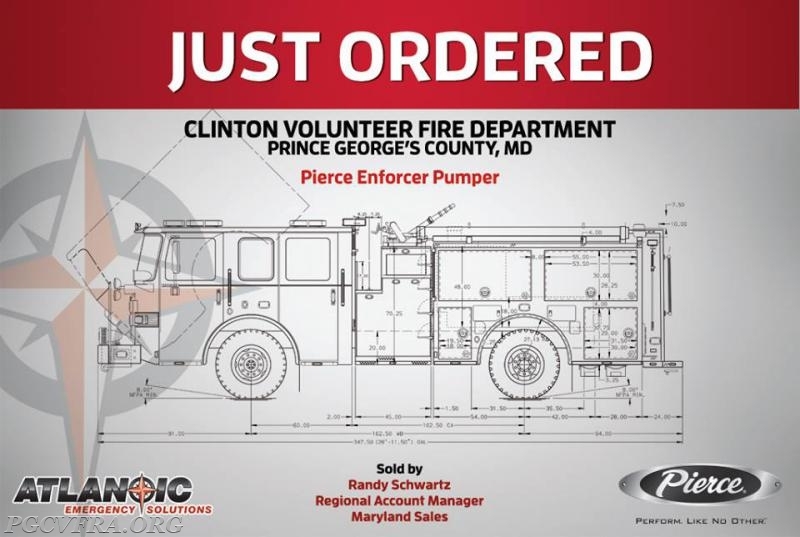 The new Pierce Enforcer will be Detroit Diesel powered, equipped with a 2000 GPM pump, and carry 500 gallons of water. Thanks to the Officers and Members of Company 25 for bringing another new Volunteer owned Engine to serve the citizens of Prince Georges County.